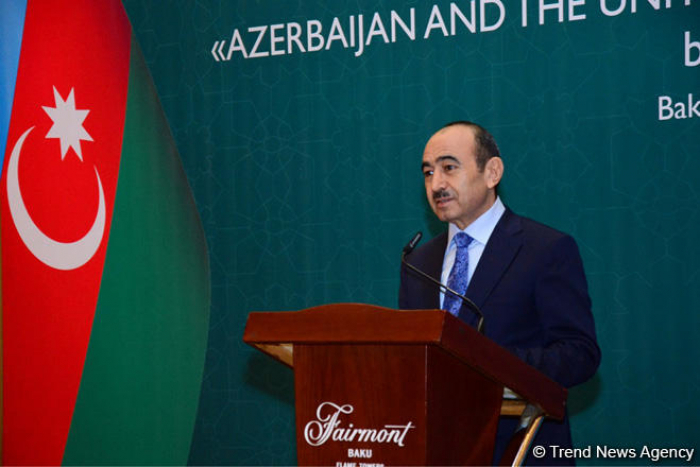 Relations between Azerbaijan and the UK serve as an example for European countries, Azerbaijani President`s Assistant for Public and Political Affairs Ali Hasanov said, AzVision.az reports citing Trend. He noted that the history of cooperation, which covers all areas, ranging from diplomatic relations between Azerbaijan and the UK, to economic, political and trade relations, is measured in a century. Hasanov noted that during the years of the Azerbaijan Democratic Republic (ADR), the governor-general of the UK often came from Tbilisi to Baku and regulated further political, economic relations with Azerbaijan, and the UK actually recognized the ADR.